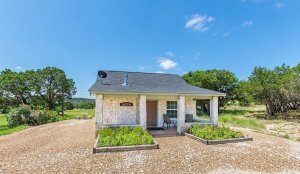 Celtic Cottage at Avalon is the newest addition to the Appian Way Cottages and Avalon Guest Cottage. 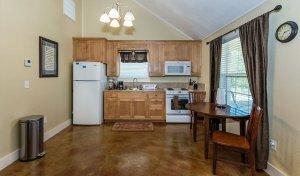 Located only 8 minutes from Main Street this Cottage has all the right amenities. 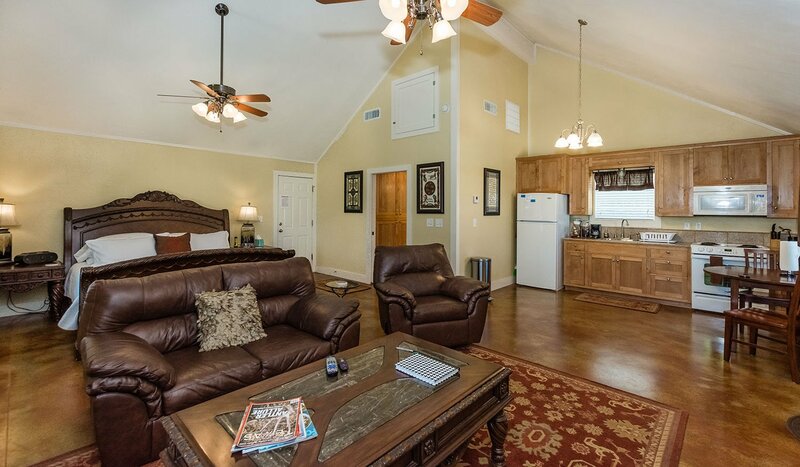 This cottage has a nice comfortable king-size bed that over-looks the living room and fireplace. 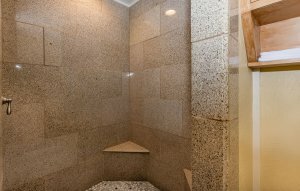 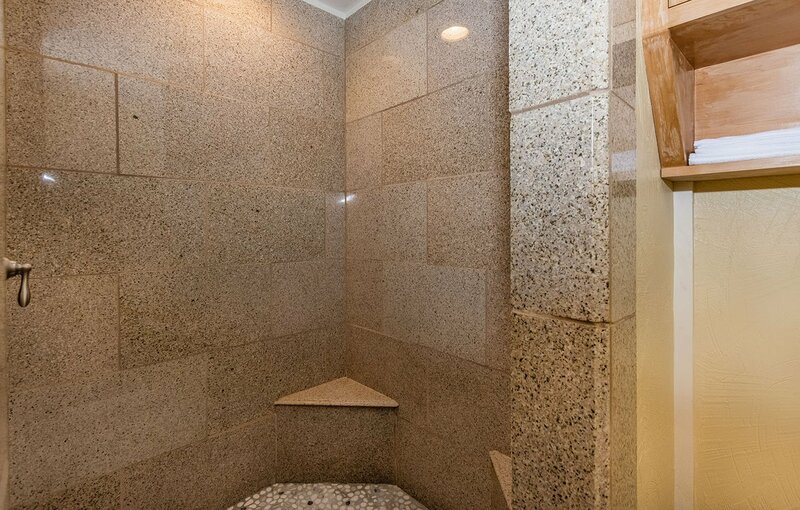 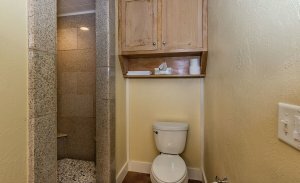 Located in the bathroom is a nice two-person granite shower with a rain showerhead. There is also a full kitchen with basic utensils and a table for two. 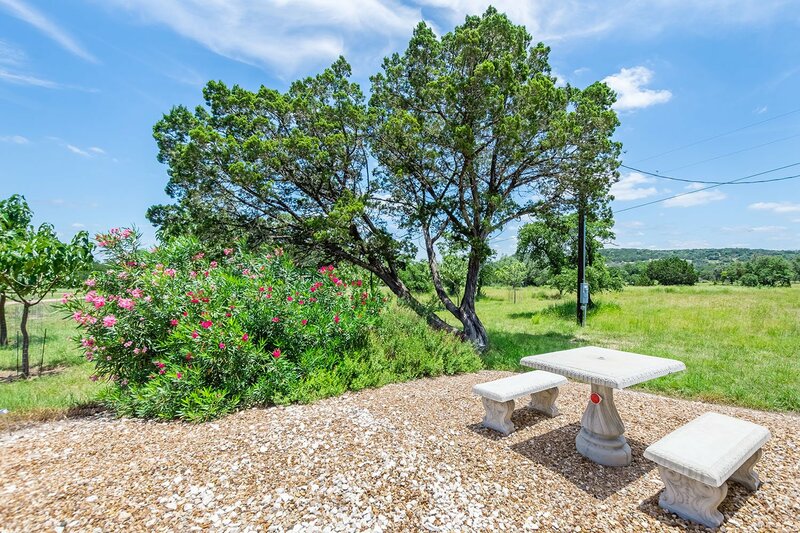 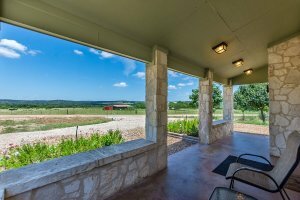 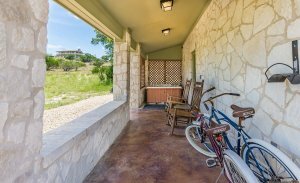 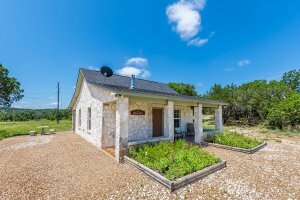 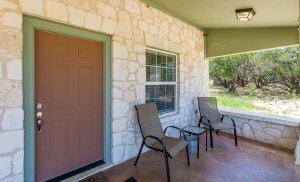 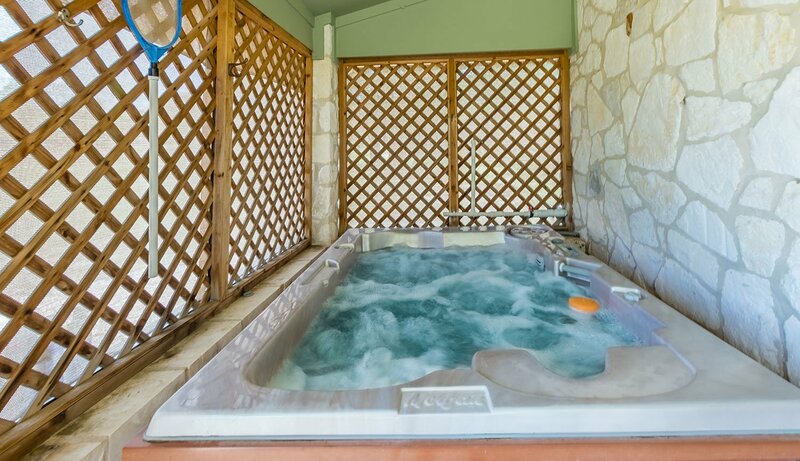 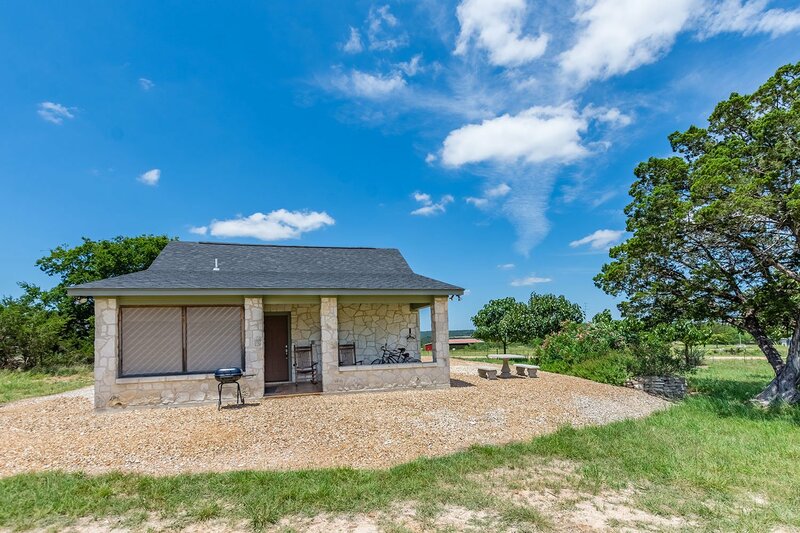 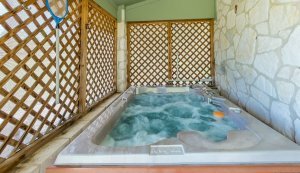 Located on the back porch is a private hot tub along with chairs to sit out on and enjoy the Hill Country views and wildlife. There is also a nice front porch to look out on as well. 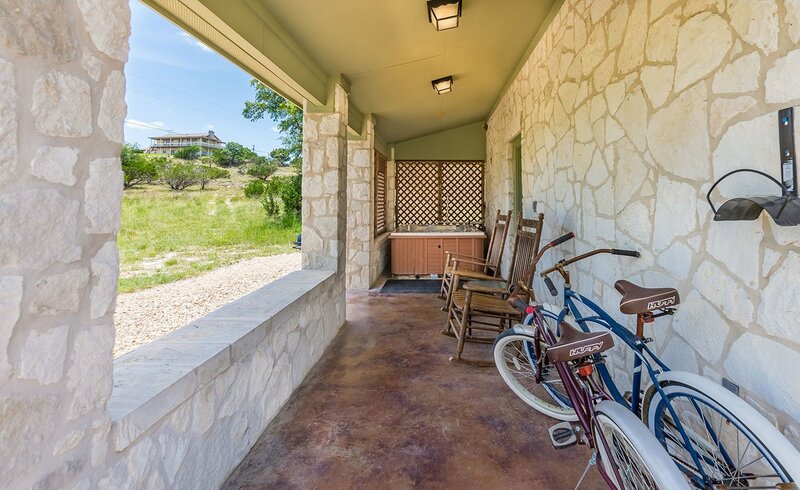 The homeowner has also provided two bicycles for guest to enjoy on the property. 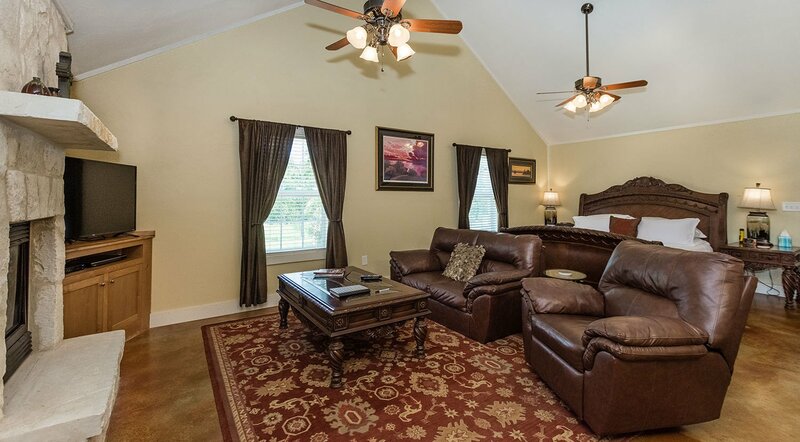 The Celtic Cottage at Avalon is a little different from the other units on the property. It has a native rock exterior along with granite counter tops. 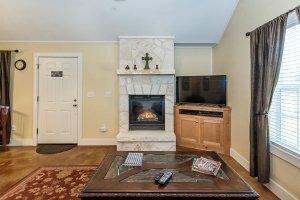 Throughout the cottage there are items from Ireland that the owners have brought back from their trip. 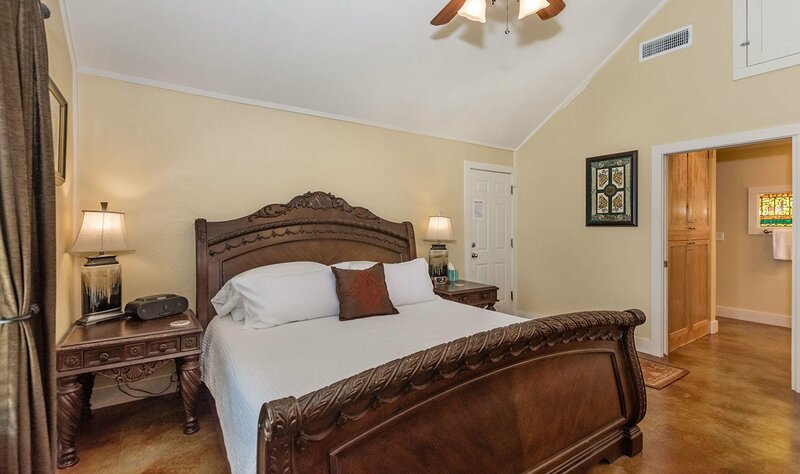 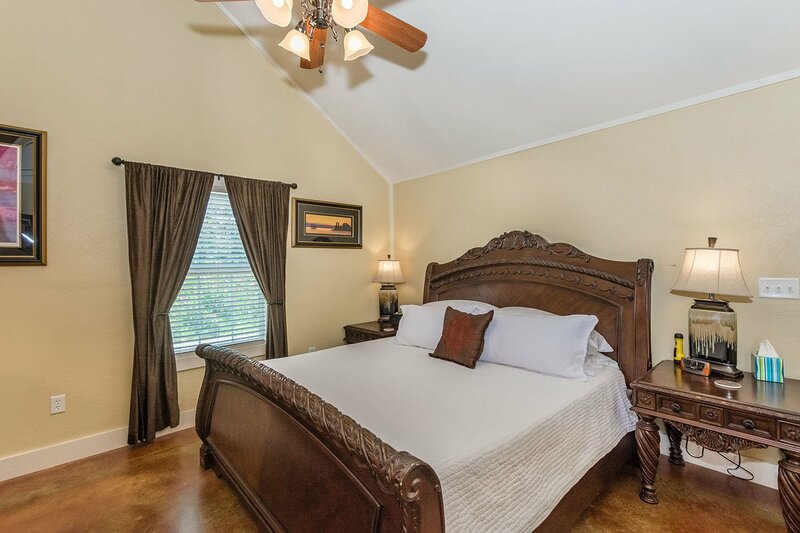 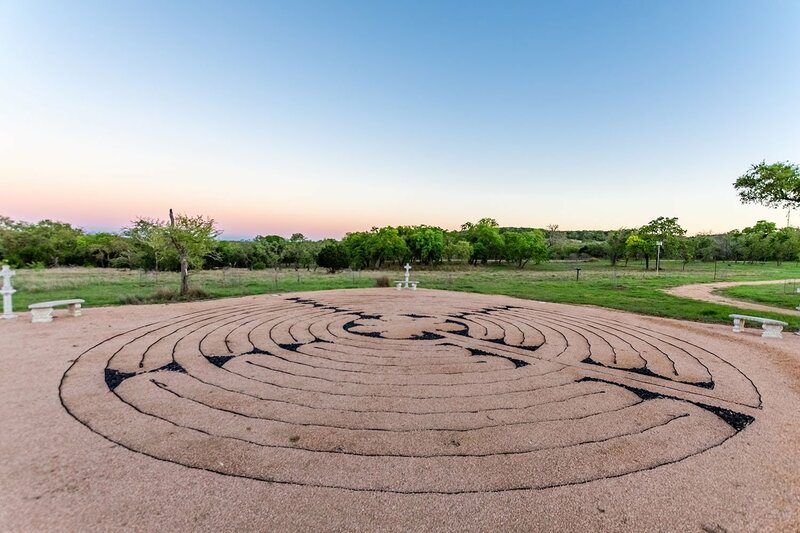 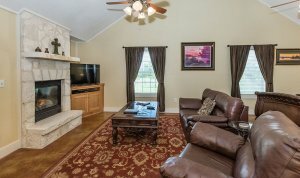 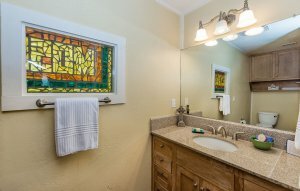 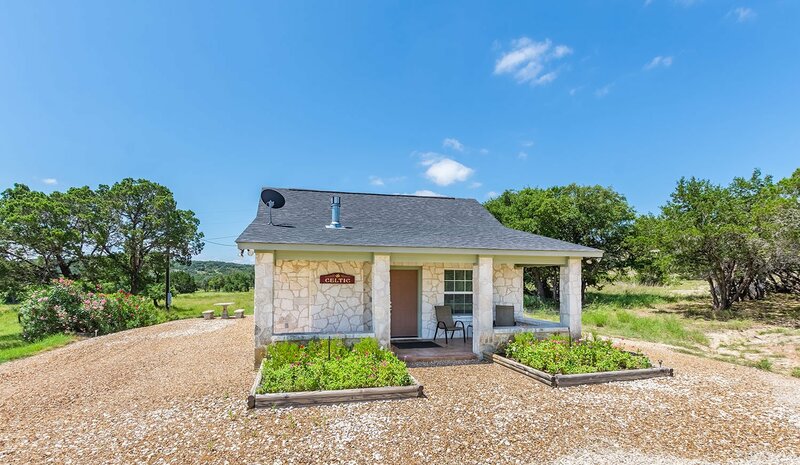 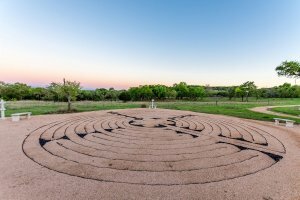 Celtic Cottage is the perfect place to come and relax and enjoy a nice cottage in the Hill Country.